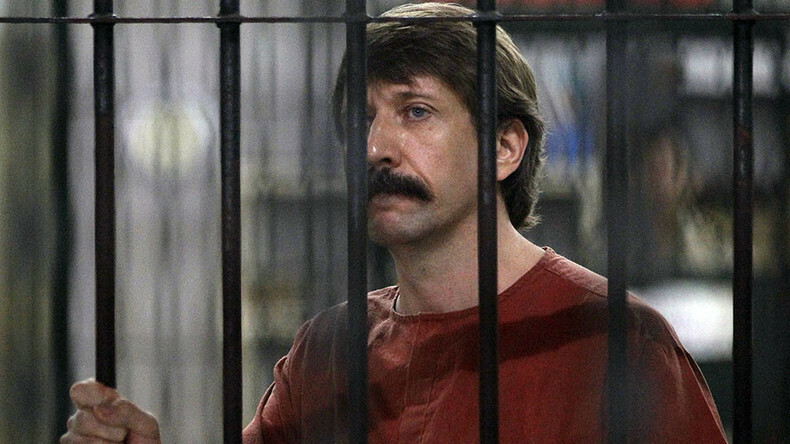 The defense team of Russian citizen Viktor Bout has appealed his sentence with the US Supreme Court, claiming that prosecutors previously concealed evidence that could have affected the initial court ruling. Lawyer Aleksey Tarasov told reporters that the appeal was sent to the Supreme Court on Tuesday, meaning that hearings into the case could be held as early as Wednesday. He also admitted that the chances of the Supreme Court fulfilling the appeal were fairly low, given the court only accepts about 1 percent of all cases submitted to it, and even then only when the cases could affect US foreign policy. At the same time, however, Tarasov noted that Bout’s case had had some impact on Russia-US relations, which gave the defense team grounds for hope. He said that the lawyers wrote in their appeal that in the modern world – which constantly faces the threats of terrorism and drug trafficking – Russia and the US must step up their cooperation and cast aside any disagreements over cases similar to that of Bout. Tarasov added that the whole case against Bout was based on a sting operation, and that the US Supreme Court had previously acquitted people in similar circumstances. Bout, the former head of an international transport company, was sentenced to 25 years in a US high security prison in 2012, following a lengthy and controversial process. He was initially arrested in Thailand in 2008 after a sting operation by US agents who claimed that the Russian had allegedly admitted it was theoretically possible for a foreign terrorist group to purchase anti-aircraft weapons. In 2010, Bout was extradited to the United States, and a year later he was convicted of conspiracy to kill US citizens. The alleged buyers of the weapons that he could in theory have provided might have been guerrillas of the Revolutionary Armed Forces of Colombia (FARC) – a group the United States ranks as a terrorist organization. Bout pleaded not guilty and continues to maintain his innocence. His defense team repeatedly tried to appeal the sentence before turning to the top US court. Russia has repeatedly blasted Bout’s extradition and sentence as a violation of international law, a political move and an example of the bias of the US justice system. Every year since 2014, the Russian Foreign Ministry has issued official warnings to Russian citizens who travel abroad, especially to countries that have extradition agreements with the United States. Russian diplomats urged caution as the US administration has made a routine practice of seeking Russian citizens in third countries, with subsequent extradition and conviction in America, usually on dubious charges.